Investigate findings to understand root causes and what actions to take to further secure your enterprise. 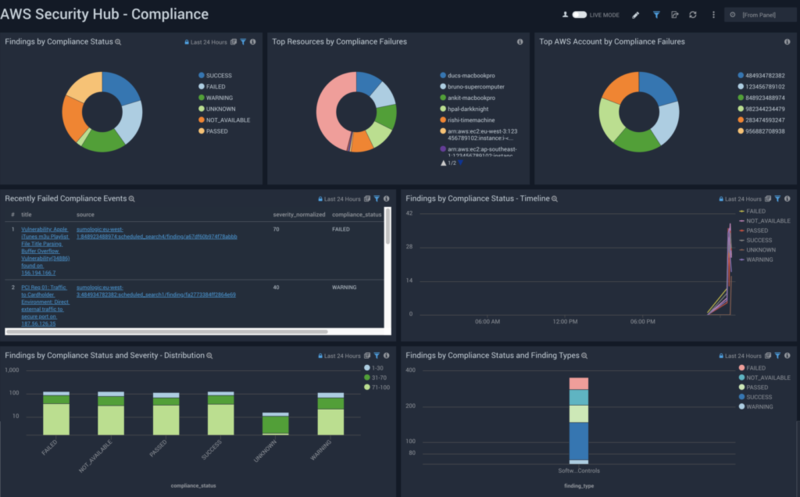 Augment AWS Security Hub compliance checks for CIS with Sumo compliance monitoring and reporting for PCI, HIPAA, GDPR, and other regulations. Consolidate all your insights from your security and IT products to the AWS Security Hub with one simple integration. Correlate AWS Security Hub insights with other security and IT data sources to discover anomalous behaviors and malicious attacks. Investigate these threats to understand perpetrators and attack vectors. Then, remediate the threats leveraging broad integrations with ticketing tools, incident response platforms, and notification mechanisms. Increase your security and compliance measures and compliment AWS CIS benchmarks by providing in-depth compliance checks for PCI, HIPAA, GDPR, and others. 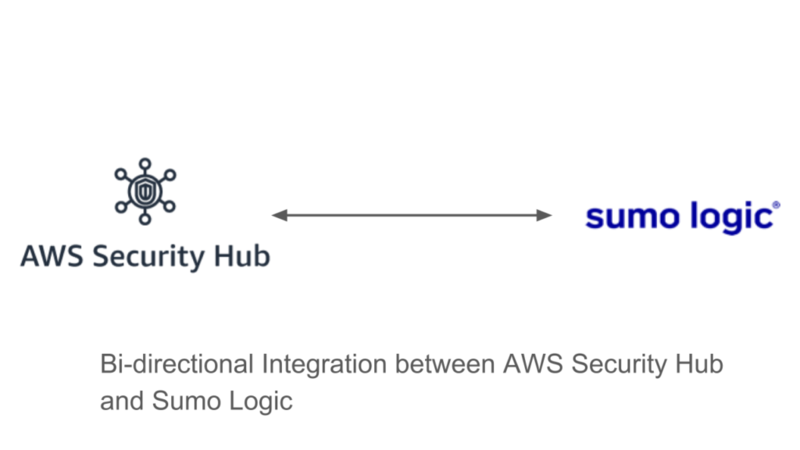 The Sumo Logic integration allows your team to identify and send finding to AWS Security Hub for any products or data sources already managed by Sumo Logic via a single integration. For example, one can leverage the query capabilities in Sumo Logic to identify anomalous behaviors in your firewalls, authentication systems, network monitoring tools and then use the Sumo Logic integration to send those to the AWS Security Hub. Conversely, you can use the same Sumo Logic integration to pull all the security and compliance finding from the AWS Security Hub into Sumo Logic from reporting and analytics.